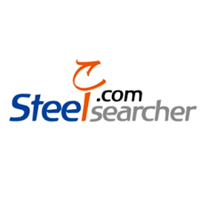 Steel Searcher Company (TZ) Limited specializes in steel trading, warehousing and procurement. The company has the excellent track record for the best customer satisfaction and never compromises on the quality and services provided to the customer. Moreover, Steel Searcher Company (TZ) Limited is a business to business undertaking which aims at facilitating the technological development as well as aggregating economic growth. c) Abilities and Skills : Awareness of issues concerning the micro, small and medium enterprises sector, excellent communication and interpersonal skills, a business-like attitude, Computer knowledge in Micro-Soft application packages (Excel. Word. Power Point, Publisher, etc.) is necessary. b) Qualifications : Ordinary Diploma or Bachelor Degree in Banking and Finance, Accounting, or finance. c) Skills and Abilities : Answering to customer's questions. Count and Reconcile cash, preparations of receipts at the beginning and end of the work, preparing daily reports, handling cash registry, honest, quick learner. b) Qualifications : A Certified Professional Accountant CPA (T), ACCA or any relevant professional qualification. A Bachelor degree holder of Accounting. Commerce, Finance.